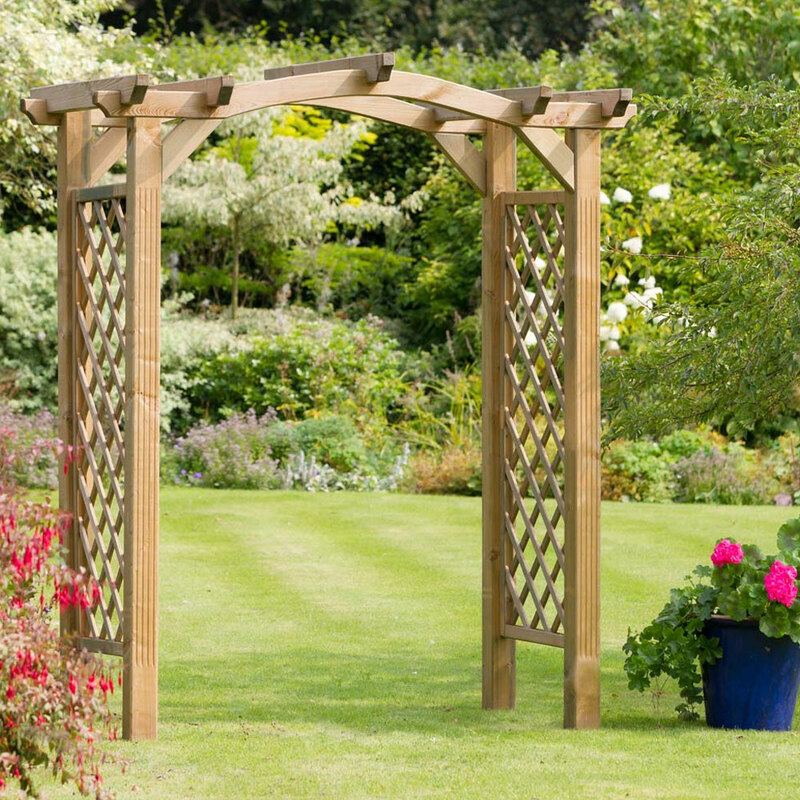 Zest 4 Leisure Venus Arch provides a natural wooden decorative focal point, as an entrance for a garden or pathway. Zest 4 Leisure FSC Venus Arch has been constructed using the thickest pressure treated timber. 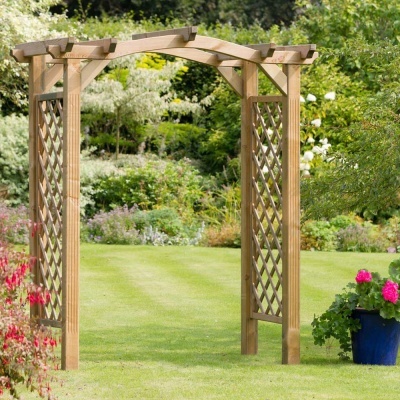 Easily self assembled (2 person), the Venus Arch provides plant support for many climbing plants such as clematis, or honeysuckle, utilising the wonderful trellis side panel design. Strong and sturdy structure with adjustable width design. Supported by 9x9cm solid timber posts.